Now that Great Business Teams has been published, this is a good time for a little reflection. Looking back at the past 18 months of research and writing, here's what stands out. 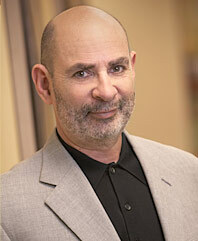 Howard M. Guttman is principal of Guttman Development Strategies, Inc.(GDS), a Mount Arlington, New Jersey-based management consulting firm founded in 1989 and specializing in executive coaching; building horizontal, high-performance teams; strategic and organizational alignment; and management development training. GDS has been ranked as a top Leadership Development consulting firm by Leadership Excellence magazine, which also named Mr. Guttman to its list of "Excellence 100 Top Thought Leaders." GDS focuses on aligning senior management teams, developing the strategy and implementation of "horizontal" organizations (brand teams, matrix structures, global teams), and executive development. Mr. Guttman and his staff of consultants are known for creating programs and processes that are pragmatic, results oriented, and produce observable change. His style is direct, and he enables clients to clearly see the distinction between symptoms and core organization issues. Among GDS's U.S. and international corporate clients are Bloomberg LP; Colgate-Palmolive; John Hancock; Johnson & Johnson; L'Oréal USA; Mars, Inc.; Novartis; Pfizer; and Walmart. Mr. Guttman has also consulted with numerous universities and nonprofit organizations around the world. Mr. Guttman's corporate experience includes Johnson & Johnson and Automatic Data Processing. He holds an M.S. from Case Western Reserve University's School of Applied Social Sciences. He has been an adjunct professor of organization behavior and management consulting at the Graduate School of Management of Rutgers University and of behavioral consulting at Fairleigh Dickinson University's Graduate School of Psychology. Mr. Guttman is the author of Great Business Teams: Cracking the Code for Standout Performance (John Wiley; www.greatbusinessteams.com), named one of the Top Business Books of 2008 by Soundview Executive Book Summaries. He is also the author of When Goliaths Clash: Managing Executive Conflict to Build a More Dynamic Organization. His third book, Coach Yourself to Win: 7 Steps to Breakthrough Performance on the Job and in Your Life, was published by McGraw-Hill in October 2010 (www.coachyourselftowin.com) and named to the Washington Post's list of Top 5 Business Books for April 2011. He was included in Thoughts from the Top: A Collection of Interviews with Business Gurus. Harvard Management Update's interview with Mr. Guttman forms the basis of the chapter, "Bury Your Opinion, Shortchange Your Team," in Teams That Click, a part of the Harvard Business School Press Results-Driven Manager series. Articles by Mr. Guttman have appeared and he has been quoted in broad-interest newspapers and magazines such as TIME magazine, American Airlines' American Way, Amtrak's Arrive, Business News New Jersey, Investors Business Daily, The Washington Post, The Newark Star Ledger, U.S. News and World Report, and U.S.A. Today magazine. He is also a frequent contributor to professional journals such as People & Strategy, Human Resource Executive, Chief Learning Officer, Leader to Leader, MWorld, Pharmaceutical Executive, and PharmaVOICE. He is a contributing editor to Leadership Excellence. Mr. Guttman frequently addresses academic and corporate audiences on such topics as "Great Business Teams: What Does It Take? "; "Conflict Management as a Core Leadership Competency," "Putting Performance into High-Performance Teams," "Executive Coaching: Lessons from the Firing Line," "Alignment: Creating High-Performance Teams from the Top Down," and "Developing Tomorrow's Leaders Through Self-Coaching." Mr. Guttman can be reached by e-mail to hmguttman@gutttmandev.com. His company's Web address is www.guttmandev.com. For further information on Mr. Guttman's career and contributions to the field of organization development, please visit en.wikipedia.org/wiki/Howard_M._Guttman.